The starter feed market is projected to reach a value of USD 29.15 billion by 2022, growing at a CAGR of 4.57% from 2016. The market is driven by factors such as the need to increase livestock production to satisfy increased demand for animal-sourced products and adoption of precision nutrition techniques. The medicated segment is projected to grow at a higher rate as these are preferred over non-medicated starter feed when the livestock is not vaccinated. It helps to administer authorized veterinary medicines to the livestock and works to complement other forms of administration such as injection, in-water, tablet, or drench. The demand for medicated starter feed is increasing, as they keep livestock healthier, free of deadly diseases, and help decrease the mortality rate of livestock. The oats segment is projected to grow at the highest CAGR from 2016 to 2022. Oats are easier to feed to animals than other grains and are used in poultry feed, primarily because of their high fiber and beta-glucan content. Oats are being used in the place of high-energy cereals such as barley and corn, which is driving the oats segment. The demand for starter feed is driven by the increasing awareness about the modern agricultural practices. Maximum growth is witnessed in countries such as China and India due to the increasing awareness among the farmers about the nutritional animal feed. This report categorizes the global market for starter feed on the basis of type, ingredient, livestock, form, and region. 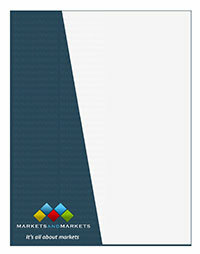 In terms of insights, this research report has focused on industry analyses and company profiles, which together comprise and discuss the basic views on the competitive landscape; emerging & high-growth segments of the global starter feed market; high-growth regions, countries, and their respective regulatory policies; government initiatives; and drivers, restraints, and opportunities.